Updates will be added to this page until about 10pm on Nov. 7, 2016. 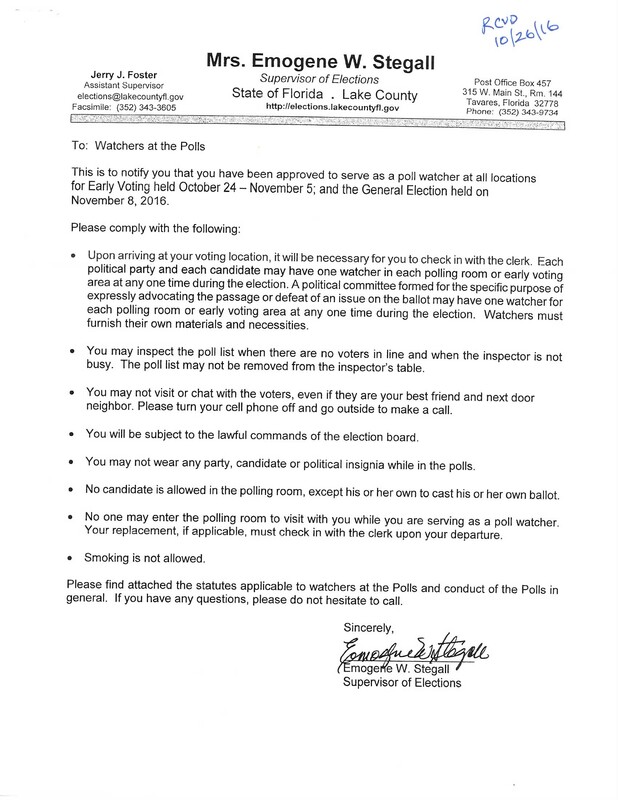 This page was setup by FiscalRangers.com to provide reference material used by approved Lake County, FL Poll Watchers for the Nov.8, 2016 general elections. For Lake County Republican Poll watchers, you should have email and phone for George. You should have your badge, a picture ID and letter of approval from the Elections office. 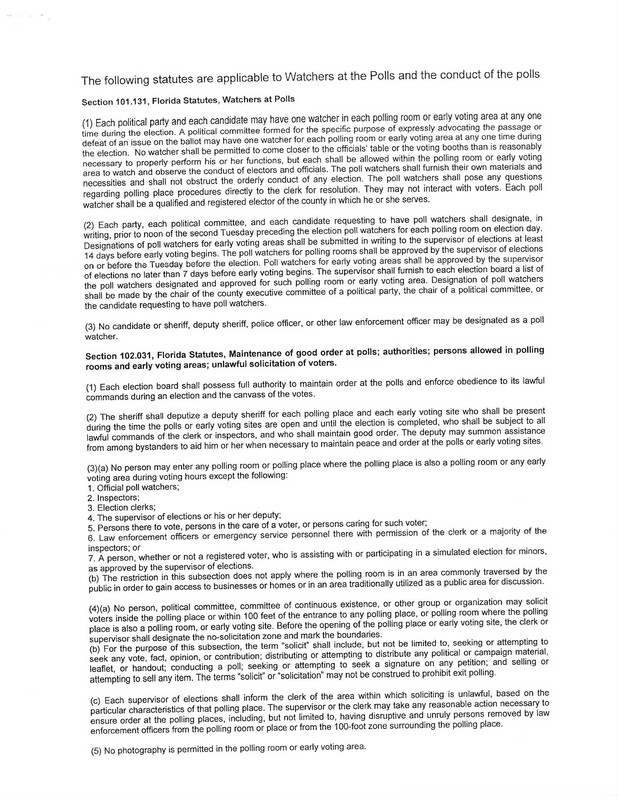 Incident Report -1pg - I suggest you print one, enter your name, vote site info, then make 20 copies to use at voting site. Scan and email to your poll watching coordinator. True the Vote Smartphone App "VoteStand" to report incidents. This is not part of the Lake County incident reporting process, but you could report any incident ALSO to them. You might look at it and consider loading it on your smartphone. I have it. HERE is a short video about it. However, I found it not very well used. Go to your App Store and install it. Form DS-DE #34 (rev. 07/2016) - Used to write a voter fraud complaint and send to FL State Elections Dept. Used by voters or public to file a formal complaint. 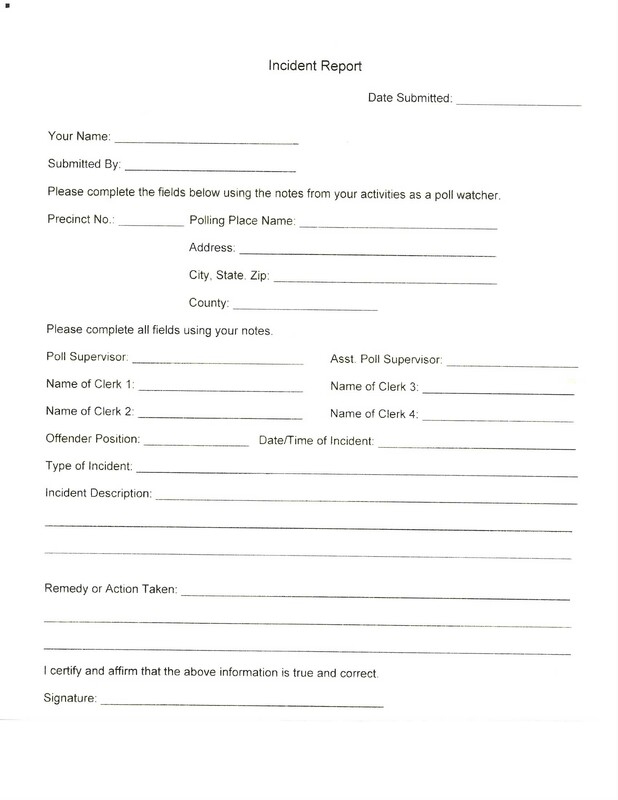 This is NOT the form Lake County Republican poll watchers use. They fill out one provided by True the Vote. Where do I report suspected voter fraud or voter intimidation?